Hearing loss is becoming a common health issue, and while you may be aware of the common causes of hearing damage, have you ever considered some of the more unusual ones? In a recent study from the University of Alberta, popping a balloon was found to cause similar damage to one’s hearing as firing a 12-gauge shotgun. What else can cause irreversible hearing damage? Continue reading to discover seven of the more unusual causes of hearing loss. Airbags. Seventeen percent of people involved in vehicle accidents in which airbags were deployed lost their hearing, according to one study. Another study from Japan found that the noise levels emitted by airbag deployments are as much as 20 percent higher than noise levels capable of causing permanent hearing loss. While airbags can save lives, in some cases they can also severely damage your hearing. Shingles. Shingles—also known as herpes zoster—often occurs in people aged 60 and older, and can affect the ear in a condition known as Ramsay Hunt syndrome. This syndrome can cause severe hearing loss in the affected ear, though with timely treatment it may not be permanent. Measles. Ear infections are a complication that occurs in one out of ten cases of measles, and these infections can cause damage that leads to hearing loss. Chemotherapy. Platinum-based drugs commonly used in chemotherapy can increase the risk of hearing loss in cancer patients. Oregon Health and Science University conducted a study and found that hearing loss occurred in 61 percent of patients who were treated with platinum-based drugs. Diabetes. 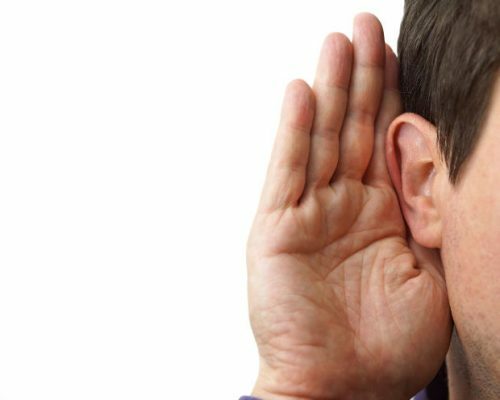 The American Diabetes Association has stated that hearing loss is twice as common in individuals who have diabetes than in those who don’t. Furthermore, approximately 40 percent of diabetes patients report some form of hearing loss, while 10 percent of those with prediabetes report similar symptoms. Hypertension. Hypertension—or high blood pressure—has been linked to hearing loss in adults aged 45 to 64. In one study, adults with very high blood pressure were 54.2 percent more likely to experience hearing loss. Researchers theorize that higher blood pressure accelerates the hearing loss that occurs naturally with age, making symptoms appear sooner and more severely. Hearing loss occurs naturally with age, but exposure to these unusual risk factors can expedite the process and damage your hearing irrevocably. Just as your eyes are checked regularly, you should make a point to have your ears and hearing examined too.